Our Jacey Tan Heels are a must have! 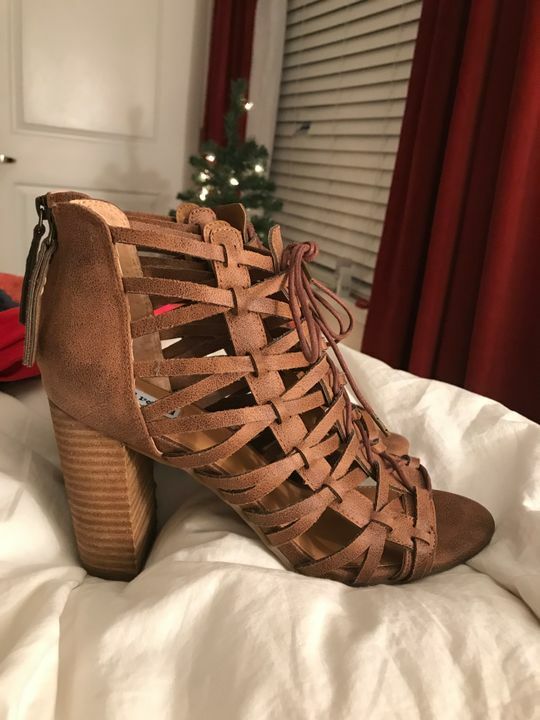 They are the perfect lace up heels that go with everything! Wear them with jeans, leggings or a cute dress from our online boutique! The shoes got here a day earlier than I expected, and they are so cute!! I was worried bc I’m usually a 10 1/2 and I ordered a 10, but they fit great! They’re just a little snug around the ankles, but I can tell after trying them on that they’ll stretch after a few wears. The shoes also came with a cute little note on my order summary and a lollipop! Overall a wonderful first experience with this store, 10/10 would order from here again!